As the legendary designer has been known to do in the past, Alexander McQueen is again bringing it with his signature skull motif. This time, it is a simple single-braided skull bracelet. 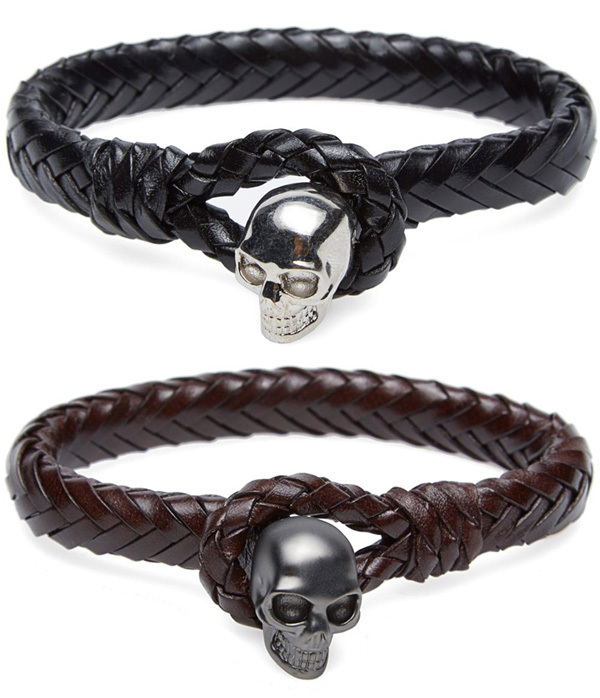 Basic, with the expected touch of the gothic, the brass-cast skull is set a braided strap of 100$ Italian leather. Available for $290 in either brown or black.